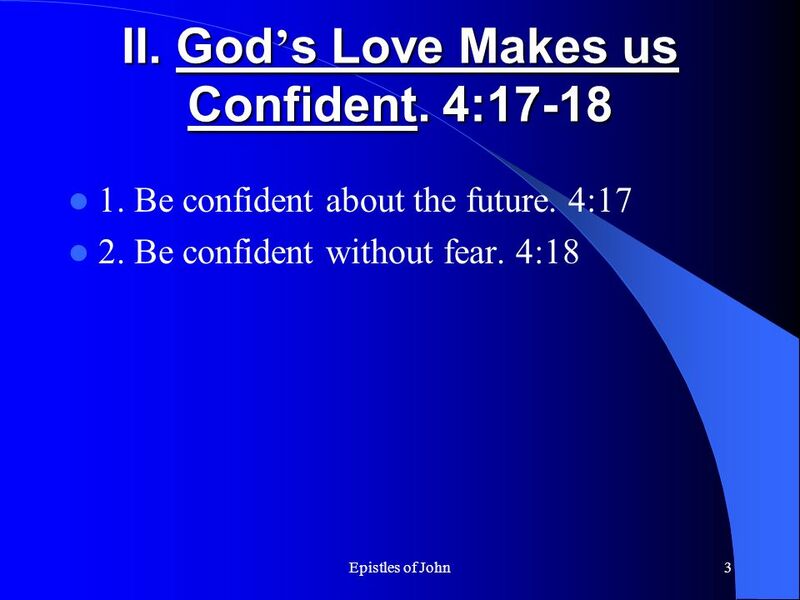 Epistles of John1 Looking at 1 Jn 4,5 God Is Love 1 John 4:16-21. 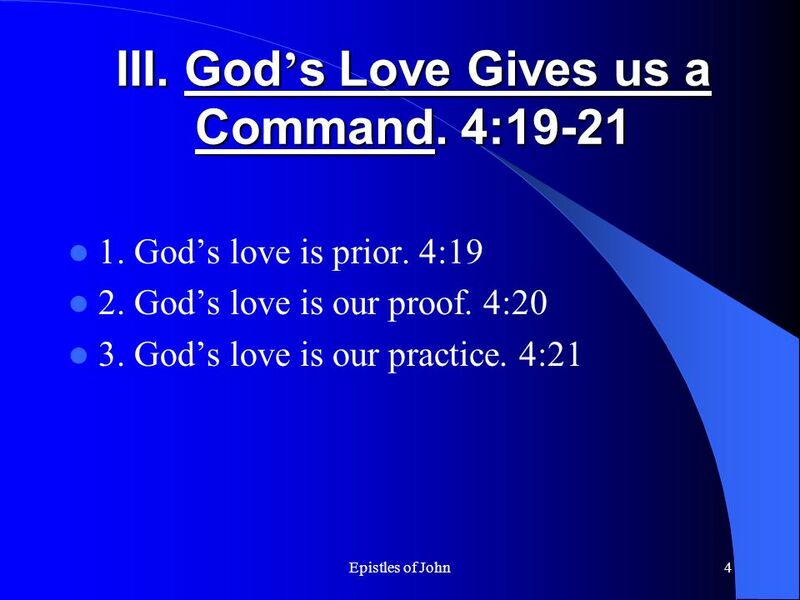 2 Epistles of John2 I. 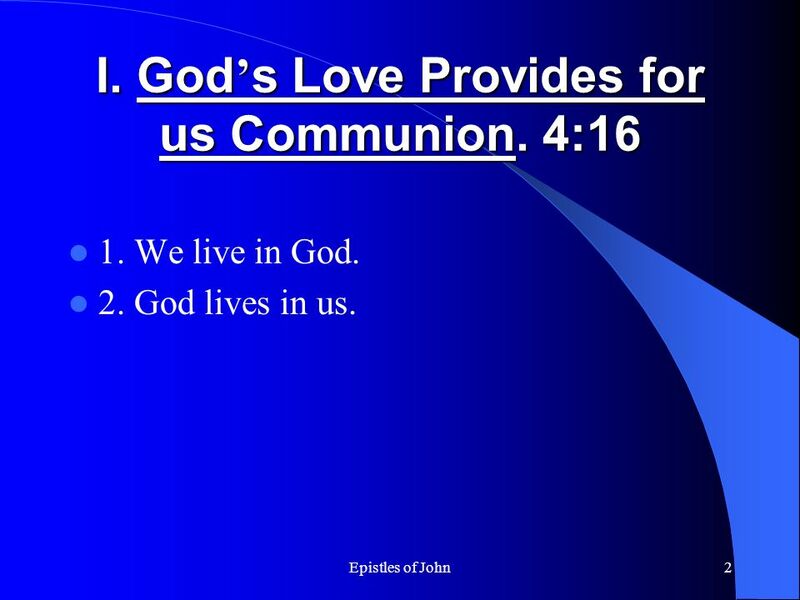 God s Love Provides for us Communion. 4:16 1. We live in God. 2. God lives in us. 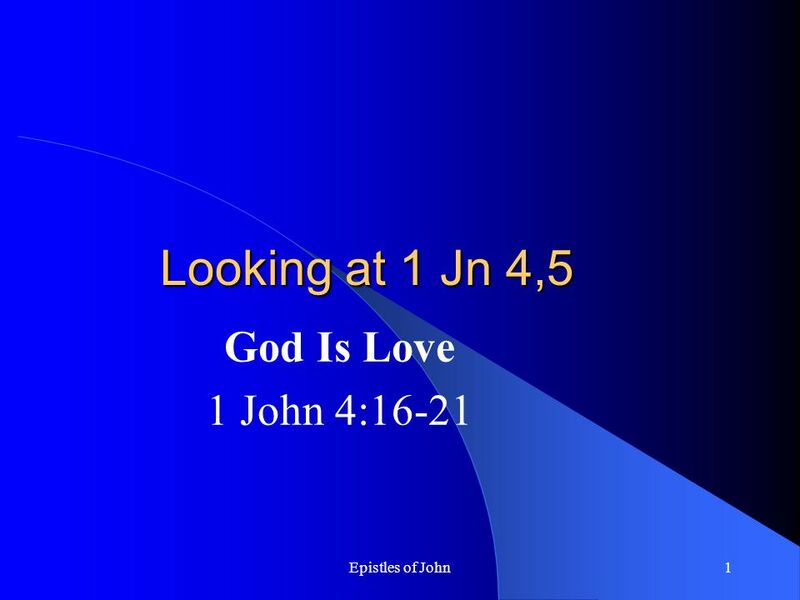 Download ppt "Epistles of John1 Looking at 1 Jn 4,5 God Is Love 1 John 4:16-21." ... 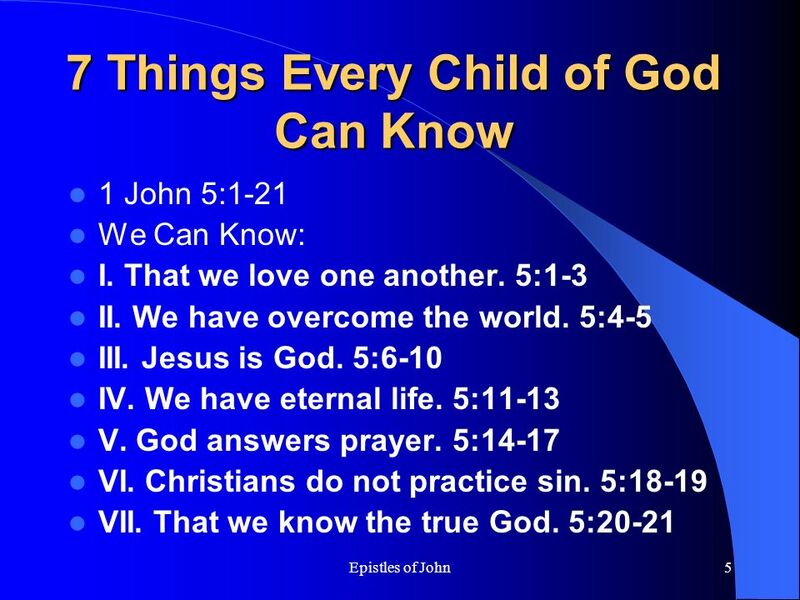 Since the day ye heard and knew the grace of God in truth (Colossians 1:6) Eph. 2:5,8Heb. 2:9Titus 2:11-13 Epaphras Truth of the Gospel bears fruit.